Group Shot at Bahamas booth during the Hispanic Art Gallery Opening - L-R Veronica Bolanos, FRS Caribbeean; Gina Madariaga, City of Hialeah Communications and Special Events Department;Phylia Shivers, Bahamas Tourist Office, Florida, Sr. Marketing Representative; Tina Lee, BTO Florida, District Marketing Manager; Adrian Kemp, BTO Sr. Marketing Representative and Macarena Berrocosa of FRS Caribbean. 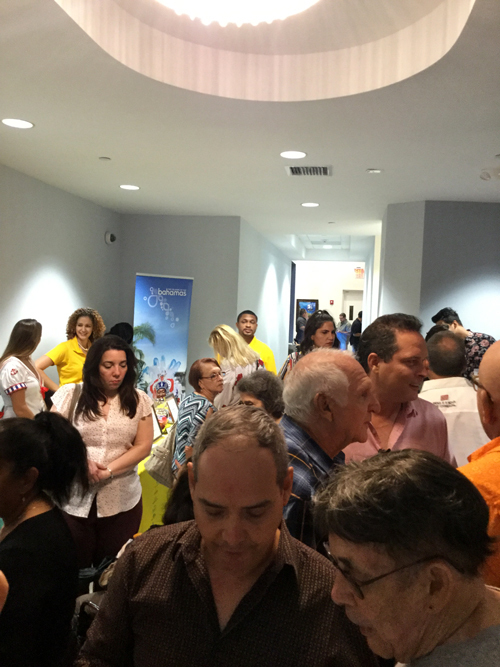 Hialeah, Florida – 1 October, 2018 – Hundreds of Hispanics from the S. Florida community were recently exposed to The Islands Of The Bahamas brand as a result of the Florida marketing team of The Bahamas Ministry of Tourism’s sponsorship of the La Mano Hispana 2018 Art Gallery Opening Night at the Milander Center for Arts and Entertainment, Hialeah (Miami),Florida. 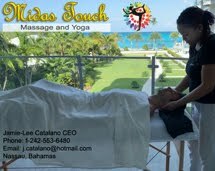 The Bahamas’ sponsorship of the event came about through its partnership with the City of Hialeah Florida‘s Communications and Special Events Department. 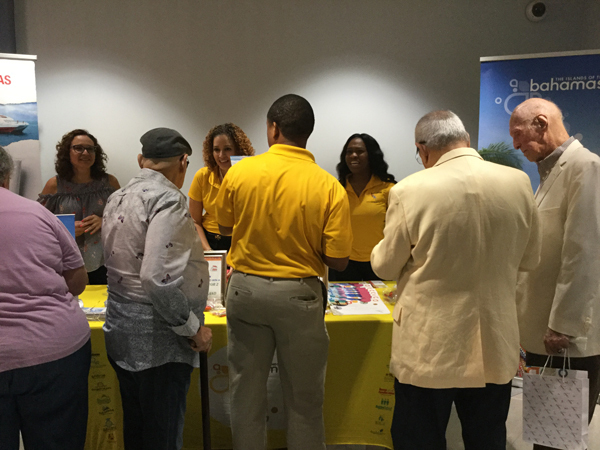 “October is ’Hispanic Heritage Month’ and participating as a title sponsor at La Mano Hispana Art Gallery Event enabled us to tap into the Hispanic market and reach the hundreds of attendees,” said Tina Lee, District Marketing Manager of the Bahamas Tourist Office, Florida. The Bahamas is the nearest international neighbor to the U. S. and South Florida, and Bimini Island in The Bahamas is known as the gateway Island to the country. FRS Caribbean, a ferry service that transports passengers between South Florida and Bimini Island partnered with The Bahamas at the booth during the Art Gallery’s opening and provided a prize - a day trip to the Island of Bimini (for two). The drawing was open to all in attendance. “Having a booth at the event served as a platform for our brand presence and allowed us to begin developing relationships within the Hispanic community in Miami,” District Manager, Lee said. 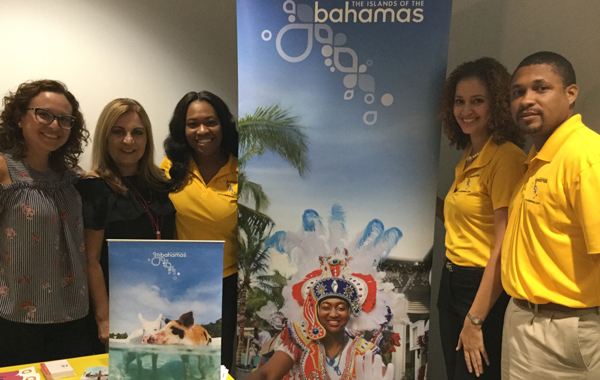 The Bahamas booth was manned by District Manager, Lee; Phylia Shivers, Sr. Marketing Representative, Bahamas Tourist Office (BTO) Florida; Adrian Kemp, Sr. Marketing Representative, BTO Florida and Veronica Bolanos and Macarena Berrocoso representing FRS Caribbean. The current La Mano Hispana 2018 exhibition will continue at the Gallery through December 4th. 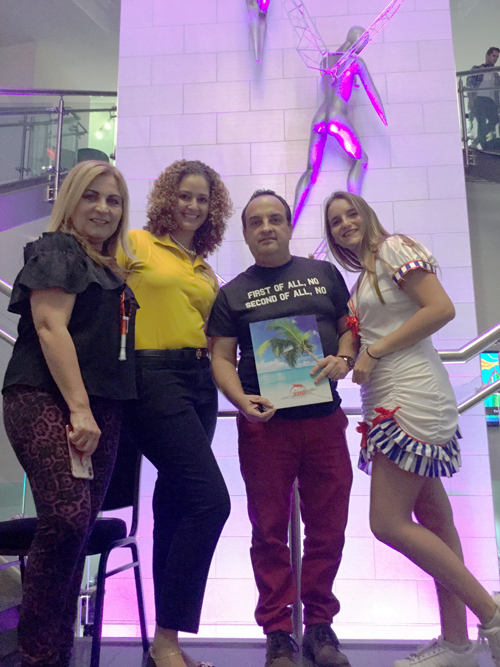 Winner of Day Trip to Bimini Island in The Bahamas - L-R Gina Madariaga, City of Hialeah Communications and Special Events Department; Tina Lee, BTO Florida, District Marketing Manager; Prize Winner, Jose Luis and Macarena Berrocosa of FRS Caribbean. 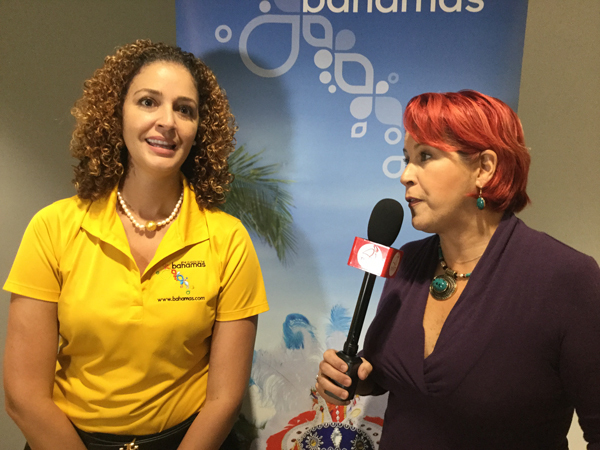 District Marketing Manager, Bahamas Tourist Office Florida, Tina Lee, being interviewed by Hialeah Travel station (Channel 77 on Comcast in S. Florida).